Tunisia’s ruling party is still dealing with internal crises with other resignations and membership suspensions in the air. Four of the party’s MPs have reportedly tendered their resignation while sixteen others have requested the suspension of their membership. The angry MPs protest against the non-adoption of the competence criterion in assigning responsibilities within the Bureau of the Parliament, and the composition of committees. During the third inaugural session of the Parliament held this week, responsibilities were assigned to the bureau and to committees’ members. 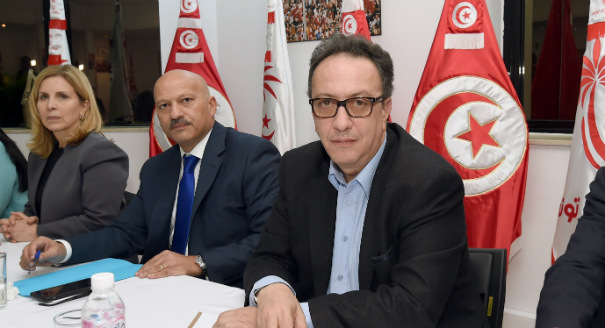 The departure of the lawmakers from the Nidaa Tounes party would reinforce the voice of Ennahda in the parliament. However, Chairman Sofiene Toubel of Nidaa Tounes parliamentary group denied the scope of the crisis stating that only one MP “made a request for resignation” while two others “reconsidered their decision to resign” and no other request has been received by the parliament’s registry in this regard. Toubel also explained that “the rules of the Parliament contain no mention of group membership freeze” and the request of the sixteen members of the party cannot be considered because according to the rules, a lawmaker either belongs to a group or resigns. Tunisia’s political climate is still fragile and the newly formed coalition government that was formed after a national dialogue between political parties, civil and trade union groups is expected to help the country surmount its turbulent transition period that has been going on for more than five years. The country has been under a state of emergency since November 2015 after a terrorist attack and President Beji Caid Essebsi has decided to further extend it till 19 January 2017 following consultations with the Speaker of the Parliament and the Prime Minister. Written by: Jaber Ali on October 19, 2016. Posted by Jaber Ali on Oct 19 2016. Filed under Headlines, World News. You can follow any responses to this entry through the RSS 2.0. Both comments and pings are currently closed.